This post has been updated with a comment from Chemours. The Chemours plant in Dordrecht shipped waste containing GenX compounds for processing, but failed to both sample for them and to keep proper records on the type and origin of the waste, according to a Dutch Human Environment and Transport Inspectorate report issued in July 2018. The waste haulers are unaware they’re carrying GenX compounds, which potentially contaminate the shipping containers. Chemours determines whether a waste flow contains GenX compounds based on the production process, but the inspectorate said it couldn’t establish that Chemours uses any formal methods to verify that. “Chemours takes no measurements to determine whether [GenX] substances are in the waste. The waste substances’ records of Chemours do not always show what the type and origin of the waste flows are. This led in one case to the discovery of a waste flow that evidently contained [GenX] substances, while they should not have been present based on the production process,” the report reads. The waste processors don’t test the material for GenX compounds. And the inspectorate noted that transport companies deliver Chemours waste but don’t always clean their tankers afterward, nor do they test for traces of GenX compounds. “These vehicles may then be used to transport other (waste) flows, which may then become contaminated” with GenX compounds, the report reads. If the haulers do clean their tanks, the rinse water could contain GenX compounds. “The cleaning companies discharge this rinse water into the sewer,” the report read. When Chemours in Fayetteville transports its GenX-contaminated waste to Texas or other offsite locations, it is shipped with a Class 9 placard on the truck, said a DEQ spokesperson, which indicates it contains an environmentally hazardous substance. A shipping manifest also indicates the waste is hazardous. There is now a bottleneck in recycling and processing the waste abroad, according to an article published today in a Dutch news outlet. 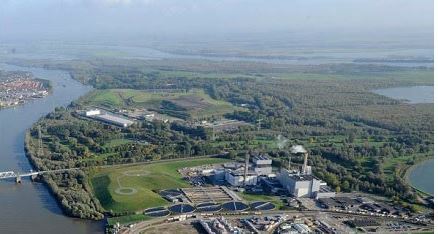 Since the Italian recycler Miteni declared bankruptcy, Chemours in Dordrecht has few places to process the GenX waste. Until recently, the article reads, the Italian recycler processed the compounds, then sent them back to Chemours in Dordrecht for reuse. Transport documents show that in 2015 and 2016, Chemours sent 100 tons each year to Italy for processing. Now that Miteni is out of business, Chemours must get back the material or find another processor — not in the US. Because the EPA has temporarily objected to further imports of the GenX-containing compounds from the Netherlands to the Fayetteville Works facility, Chemours in Dordrecht can store it for up to one year.